I started with another scrap. 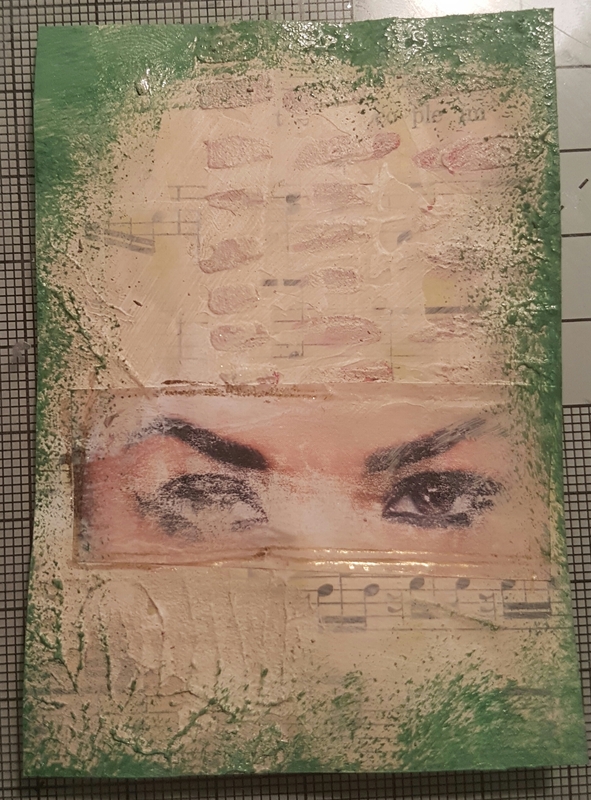 .. this time some music score that I had added some texture paste to and then a magazine photo of eyes to as well. Then I added Buff and then an emerald green to the outside. this have me the shading I needed. I then used my Heatwave tool to add the foiling to the piece. and then used an Inktense pencil to add depth and shading. I added some doodling to the image and the chit chat stickers as the title and then added it to the ATC blank. 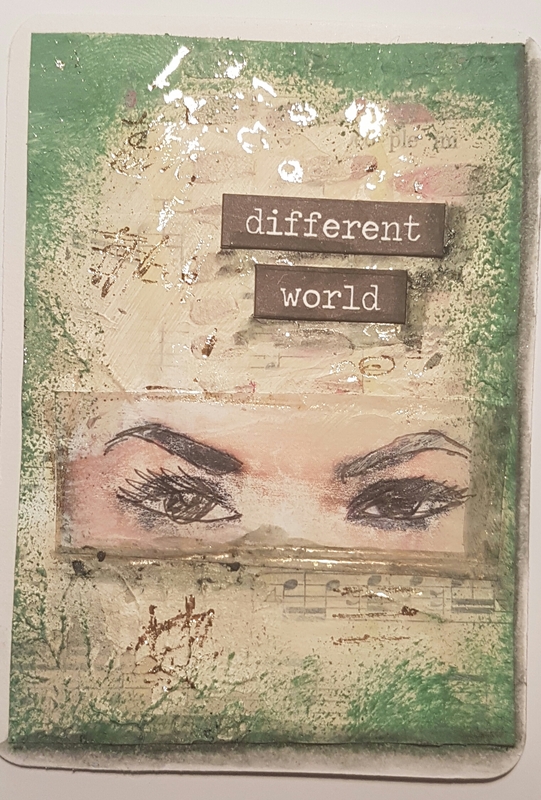 Love this very different ATC from me.